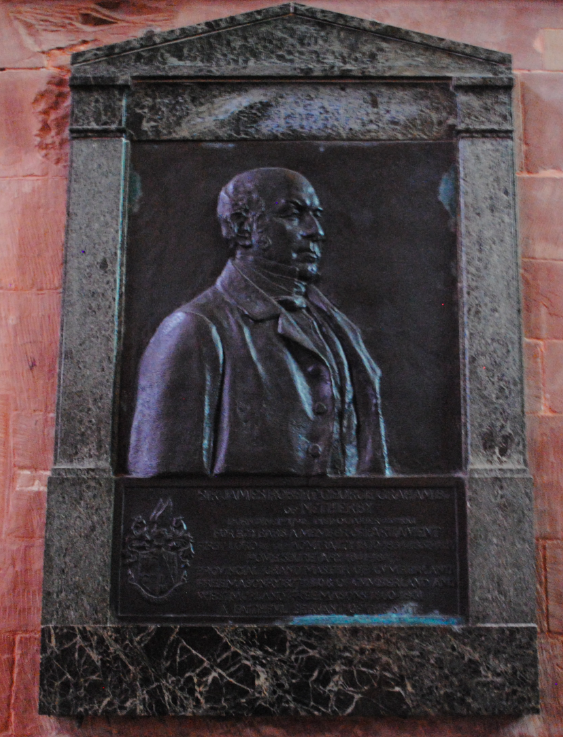 In the presbytery aisle in Carlisle Cathedral is a memorial plaque dedicated to William Fleming. Born in 1709, William was the only son of Sir George Fleming who was Bishop of Carlisle. William was Archdeacon of Carlisle and was married to Dorothy, daughter of the Westmorland Member of Parliament, Daniel Wilson of Dallam Tower. William died in 1742 aged just 33 years and the memorial was erected by his only child Catherine Ascough.